We have plenty of job vacancies in Germany available right now, with roles in Berlin, Stuttgart and Düsseldorf. Here are five listed on Dezeen Jobs, including positions with HENN Architekten and furniture brand Bolia. HENN Architekten is recruiting a communications and marketing manager to join its practice in Berlin. 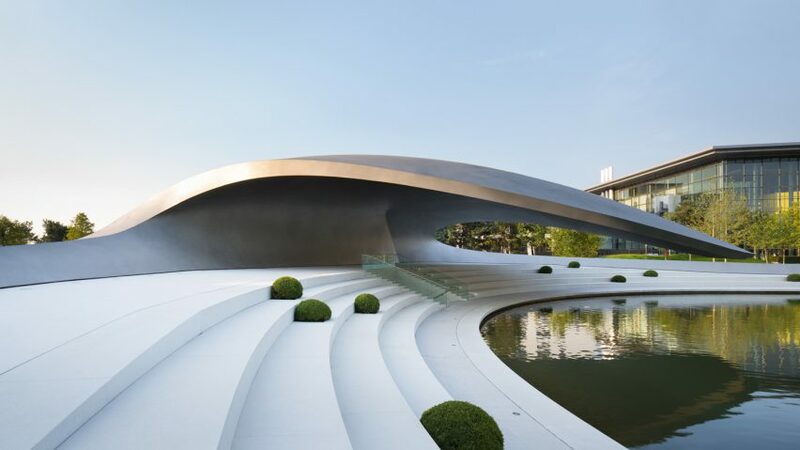 The firm is behind the Porsche Pavilion at the Autostadt theme park in Wolfsburg, Germany, which features a curved roof made of steel that cantilevers out towards a pool of water. Heat-compressed industrial felt is used in Outofstock's geometric Stamp lighting pendants, designed for Danish brand Bolia. The furniture brand is seeking a visual merchandiser to join its stores in Germany, Austria and Switzerland. Furniture brand Hay is looking for a stylist/visual merchandiser to join its team in Berlin or Düsseldorf. The Danish design brand recently opened its first North American store in Portland, which is set in an industrial-style building that contrasts its colourful homeware collections. Dubbed as the "world's first" fully 3D-printed motorbike, German firm BigRep has released futuristic visuals of the Nera electric motorbike. The company has an opportunity for a CGI artist to join its office in Berlin on a part-time basis. Kuehn Malvezzi is seeking an architect or project leader to join its practice in Berlin. During Chicago Architecture Biennial 2015, the German firm presented House of One, an installation that showed its proposal for a building containing a synagogue, church and mosque all under one roof.